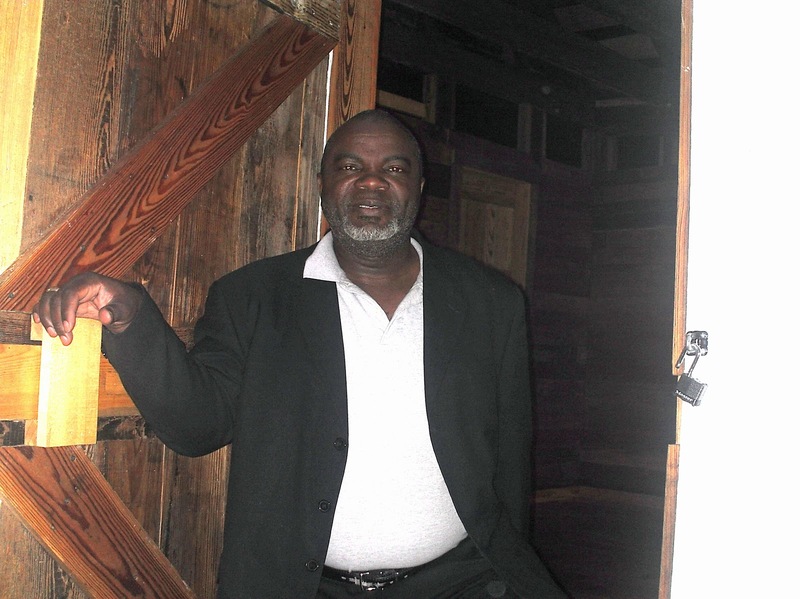 This recent update shared by Joseph McGill Jr. about overnights on Laurelwood Plantation in Eastover, SC, and in a slave dwelling in Cheraw, SC, proves to be very promising with respect to the future of the slave dwellings at these sites. 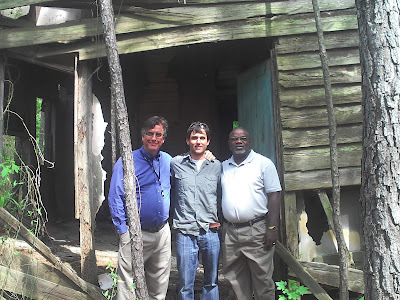 I am very impressed that the new owners of Laurelwood will be restoring the slave dwelling before the "big house." Slave dwellings landmarks representing survival and community. The efforts to preserve them will help restore a significant piece of local history and genealogy for many who are searching. 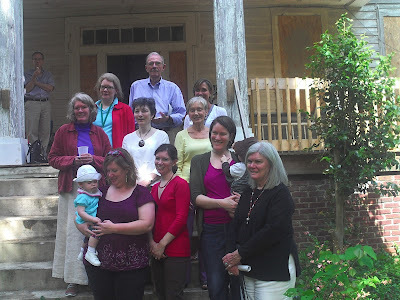 I discovered a great blog, The Legacy of Laurelwood, with photographs and history of Laurelwood Plantation. I even grabbed the web site badge and slipped it into the sidebar. 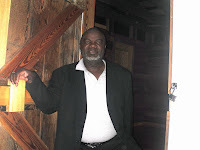 While my last few stays afforded me the opportunities to stay in slave dwellings in the states of Texas and Louisiana and gave me the opportunity to have many other people share that experience with me, it was now time to get back to basics, sleeping in the slave dwellings alone. 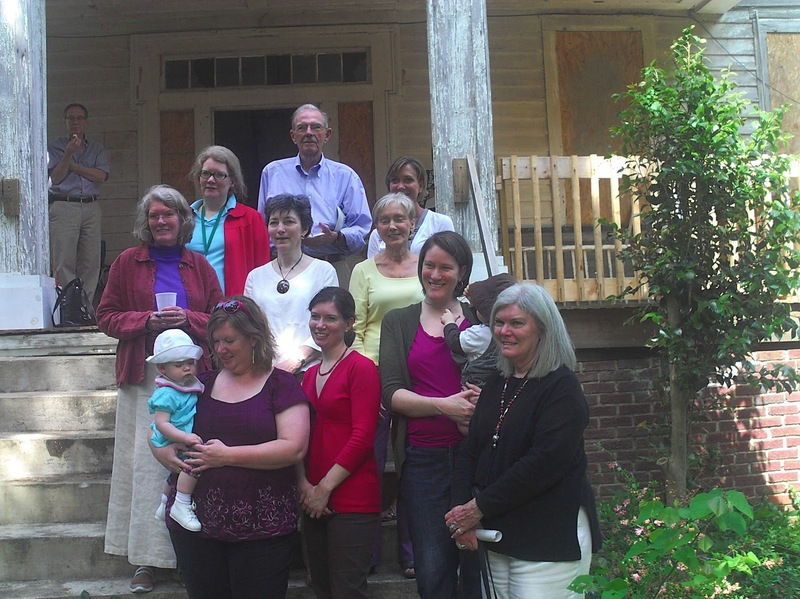 That opportunity would come at Laurelwood Plantation in Eastover, Richland County, SC on Friday, April, 15, 2011. 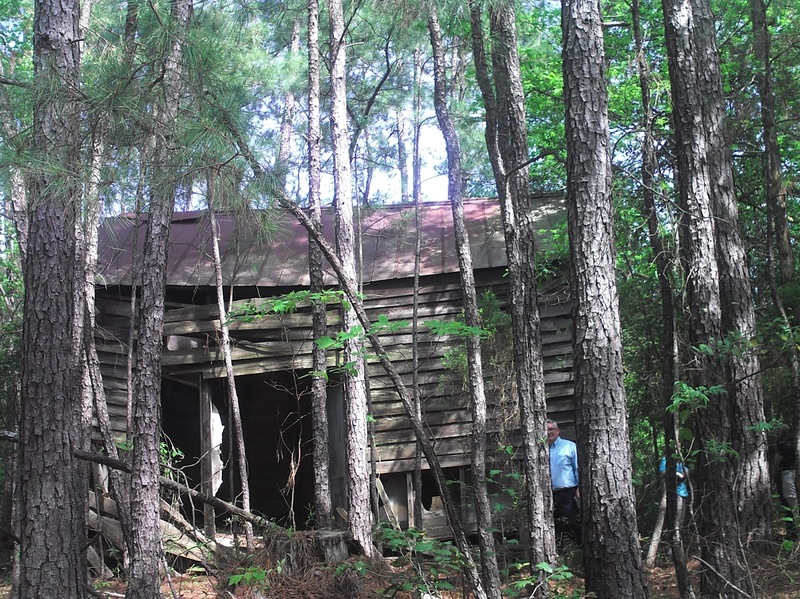 The property had just been purchased from the Palmetto Trust for Historic Preservation by the young couple Jeremy and Jacqueline Thomas from England. A public gathering was planned at the site to celebrate the sale. 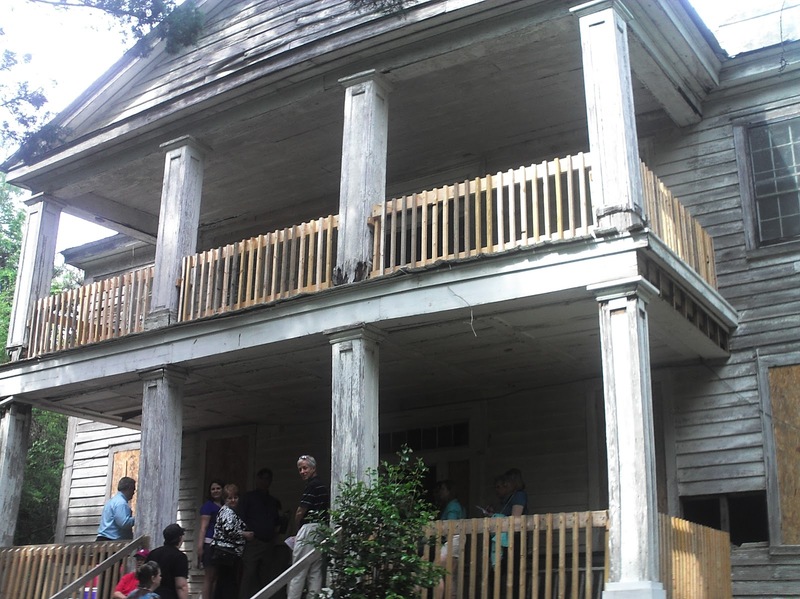 Participants at the gathering included the new property owners; representatives from the Palmetto Trust; family members of the previous owners; descendants of the original builder; the press; other interested community members and a stray cat. 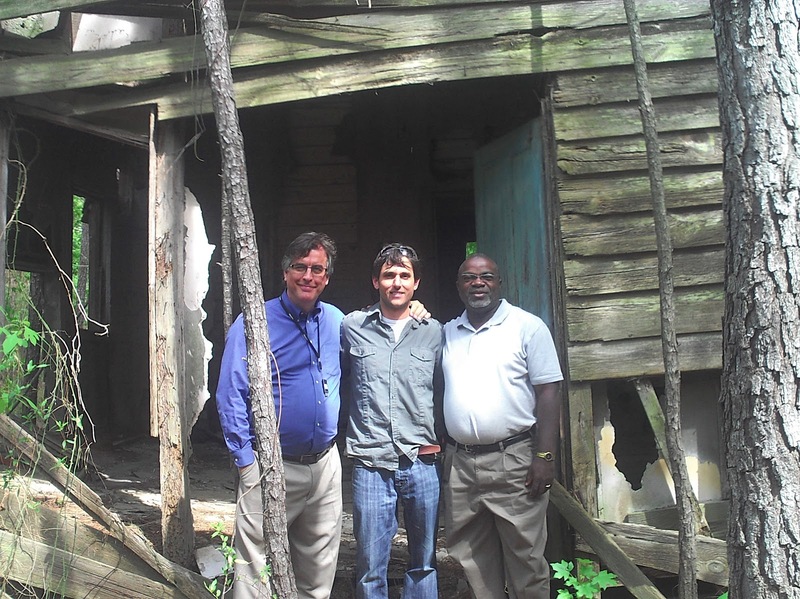 This would be the second time that the Slave Dwelling Project and the Palmetto Trust for Historic Preservation would intersect. 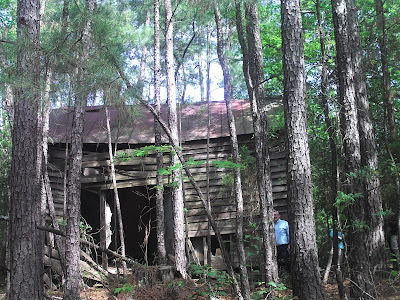 The first was my overnight stay at a slave dwelling on Morris Street in Anderson, SC. I was confident that this stay would be equally as pleasing. As I approached the dwelling, my confidence for sleeping in it began to diminish. When I entered the dwelling I became thoroughly convinced that my overnight stay there would not happen. Surrounded by trees, although still standing, the dwelling had lost some of its structural soundness. My desire for self preservation overrode my desire to proceed with the project. All was not lost, with the permission of the new owners I was given permission to sleep on the porch of the big house and given access to the big house if it became necessary at some point during the night. So there I slept at Laurelwood Plantation on the porch of the big house alone with the company of a stray cat that made its presence known throughout the night. I left there with the assurance from the new owners that before restoring the big house, they would restore the slave dwelling first. They will live there while the big house is being restored. Thank you Palmetto Trust for having an easement program that will ensure historic buildings will be restored and a special thank you for finding owners for Laurelwood Plantation who will not shy away from any of its previous history. The next night, Saturday, April 16, I was scheduled to stay in Cheraw, SC in a slave dwelling that was restored by Bill and Susan Malloy. I was also scheduled to give a lecture on the Slave Dwelling Project prior to the stay at the Southern African American Heritage Center in Cheraw. The lecture was a success. When I got to the beautiful home of Bill and Susan Malloy, Bill reminded me of our first conversation. It was a result of my overnight stay at Hobcaw Barony in Georgetown, SC. Staying with me that night was a writer for the Charlotte Observer by the name of Eric Frazier. Bill contacted me after reading the article that appeared in the Charlotte Observer about the stay at Hobcaw Barony. 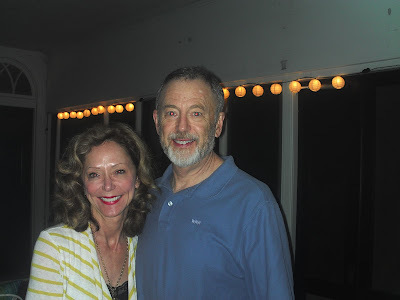 Bill and Susan did not disappoint when they served a meal of baked beans, coleslaw and ribs for dinner. 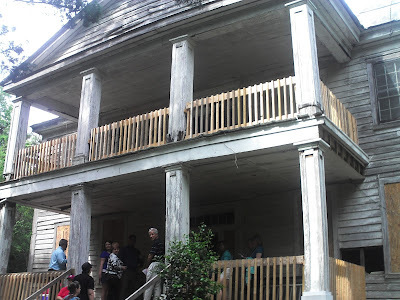 I was thoroughly impressed by the restoration that was done to the former slave dwelling. One of two located in their back yard, the spacious building was complete with a gas heater; a refrigerator stocked with beer and water; and several easy chairs; this could easily qualify as the ultimate “man cave”. The Malloys currently use the space for their music room. Within the span of two days, I experienced two extremes. While the former slave dwelling at Laurelwood Plantation was so dilapidated it could not accommodate an overnight stay, the dwelling that belonged to the Malloys was fully restored and is in current use. Both dwellings will be here in the future to tell the stories of the enslaved people, their original inhabitants. That weekend was also a great example of the roles that private owners play in the restoration and upkeep of these dwellings. To Jeremy and Jacqueline Thomas: congratulations on your new purchase. To Bill and Susan Malloy: thank you for finding a creative use for a restored former slave dwelling. We need more couples like the Thomases and Malloys who have the desire and means to restore and maintain other extant slave dwellings throughout the United States. Thanks for stopping by my blog The Legacy of Laurelwood and for placing my badge on your site. I am delighted to know that there are others who seek to preserve history and who continue to share the stories of our ancestors. Wonderful blog you have!!! I am in Missouri but travel nationwide and Internationally for a3genealogy and research. I love this project, please let me know if I can be of ANY assistance.